Inspired by the enigmatic beauty of wild dolphins and by the amazing work of Jacques Cousteau, Austin Tofte- singer, songwriter and sole creator of the band Swimming With Dolphins -doesn’t want his new album Catharsis to be just “another dude making music”. Austin wants to use this new album to help save the creatures that inspire his songs. The money will go to support an upcoming short film they are making called “Voiceless”, which will aim to raise awareness of the harms of Dolphins in captivity. I’ve added a $5 perk as well. This includes a hand written “thank you” from me, as well as a Blue Freedom bracelet – (these items will be included in every contribution $5 or higher). 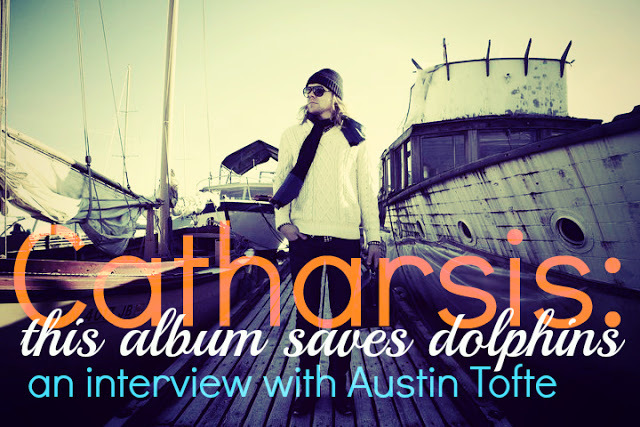 We were very stoked to get a chance to ask Austin a few questions about Catharsis, and about his oceanic inspiration. Blue Freedom: Your music and band name is obviously dolphin-oriented, what is it that inspired you about dolphins in particular? Austin Tofte: Truly, it’s more than Dolphins. I (and the world in my opinion) owe so much thanks to Jacques Cousteau and everything he did. There are shots in Odyssey, with him and the crew swimming out in the wild with dolphins (and all sorts of aquatic creatures they encountered for that matter) treating them as such magnificent creatures. Just watching someone who embraces the beauty of a moment shared with an animal in the wild like that – it’s really amazing… I mean, come on, who doesn’t want to swim with dolphins in the wild? So, really the name derives from the imaginary experiences I’ve had while admiring Cousteau’s work. It’s like sounds to fit that feeling, I guess. Blue Freedom: What inspired you to start a new album? 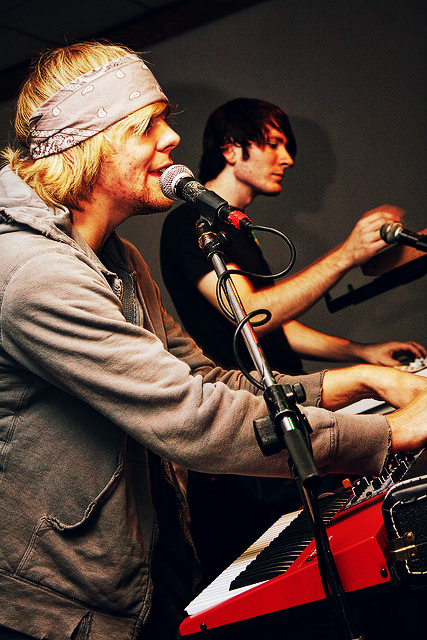 Austin Tofte: I think a hunger for creativity in my life was really what inspired me to start a new album. Music is something that I’ll never be able to live without, especially the creative side of it. A number of things in my life changed all at once and suddenly the opportunity presented itself to make another album, so I jumped on it. Blue Freedom: Producing an album that also helps protect the animals that inspire your music is brilliant. What prompted you to connect your project to a cause? Austin Tofte: Well, thank you, although, it just seemed logical to me. I’m a pretty big believer in the “pay it forward” concept. When you’re given something, it’s awesome, but after awhile it looses it’s luster from just clinging to it & not sharing the joy of it with anyone else. I am lucky enough to have people that want to listen to the music I make, A way to pay forward & share what has been so generously given to me, is to contribute to a greater need in my opinion, which happens to be dolphins. Blue Freedom: What is your hope for the album? Austin Tofte: My hope for this album is two-fold. On a personal level, Catharsis is a cleansing & redemptive effort. I feel like I missed the mark a bit with Water Colours and want to get my thoughts & feelings out, in song form, the most genuine way. On the other side, I ultimately want this project to mean something more to the world than just another dude making music. So, it’s up to me to do something about that. “Until recently, I’ve always thought of Swimming With Dolphins as nothing more than just some songs I make when I have time, that a handful of overly-kind people think sound cool… or something like that, but as you all have proven to me with this campaign, that’s not the case. 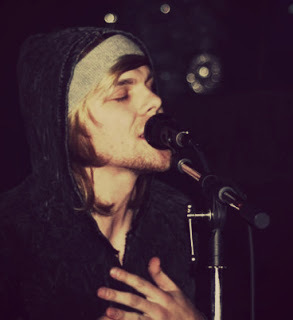 Clearly, I have a “voice” and I was put on this earth to share my music with whoever wants to listen. In fact, we all have a “voice” or something we are called to do or make that speaks to others in an inspiring way and reflects who we are as individuals. It’s now almost November of 2017 and the supporters still haven’t gotten what we were promised. Just wondering if he ever gave you the donations he promised.